Microsoft has reportedly made the gutsy decision to remove the Start button from its Windows 8 interface--at least, if screenshots that are (allegedly) from the Windows 8 beta are anything to go by. According to reports, Microsoft is replacing the Start button with a hot corner that shows a preview of either the desktop or the Metro-style Start screen. The Chinese-language site PCBeta hinted at the Start button's demise over the weekend with some supposed Windows 8 beta screenshots, and The Verge confirmed the change with "sources close to Microsoft's Windows 8 development." If I understand this correctly, dragging your cursor to the bottom-left corner of the screen will bring up a thumbnail preview of the Metro-style Start screen. As we already know, this Start screen is meant to replace the pop-up Start menu used by older versions of Windows. 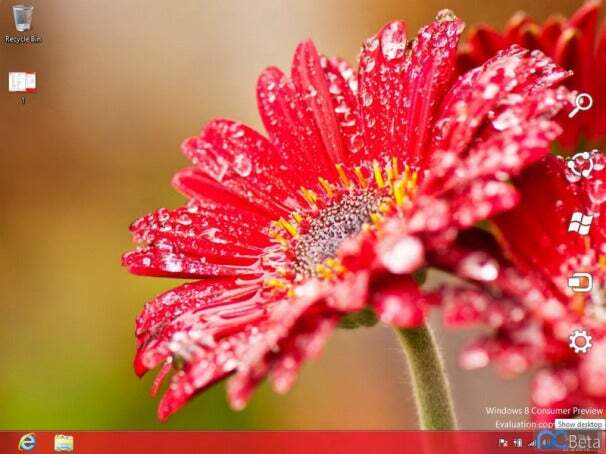 The Verge also reports that Windows 8's Metro-style Start screen will have the same hot corner menu as the desktop. This adds some consistency between the two interfaces, while letting users quickly toggle between the old desktop and the new Start screen. On tablets, users will reportedly be able to access the same preview layer by swiping. I can understand why Microsoft would make this change. In the Windows 8 Developer Preview, clicking the Start button from the desktop immediately sent the user back to the Metro-style Start screen--a jarring shift for users of older Windows versions. Adding preview layer could help Windows veterans brace for the switch. Still, removing the Start button may cause confusion among Windows users unless Microsoft clearly explains how to find and open apps. And if users can't get used to life without a dedicated Start button, Microsoft may have backpedal--after all, it's a pretty drastic change. But that's what betas are for, right?